Hearts 56 captain Jimmy Bremner receives the National League Trophy from David Hay. 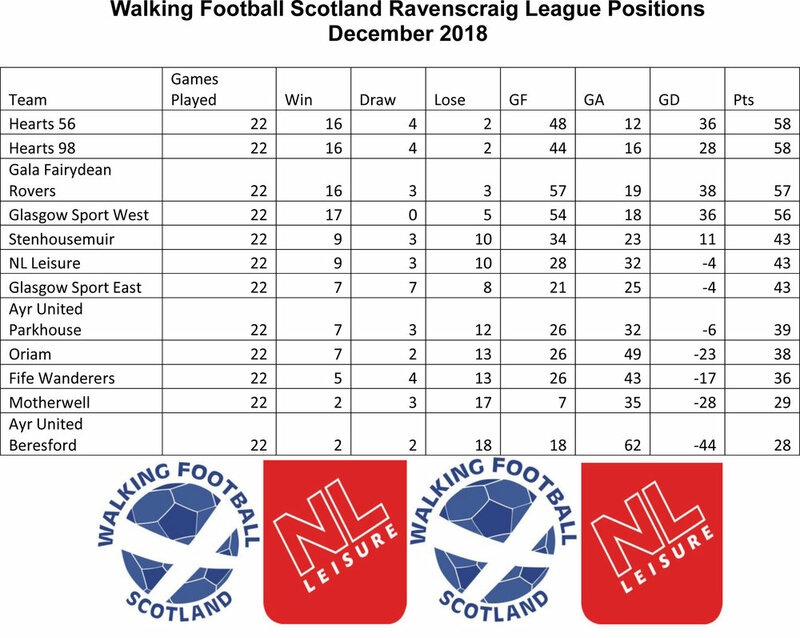 Congratulations to Hearts 56 on retaining the Walking Football Scotland National League trophy today (December 5) at the Ravenscraig Regional Sports Facility. 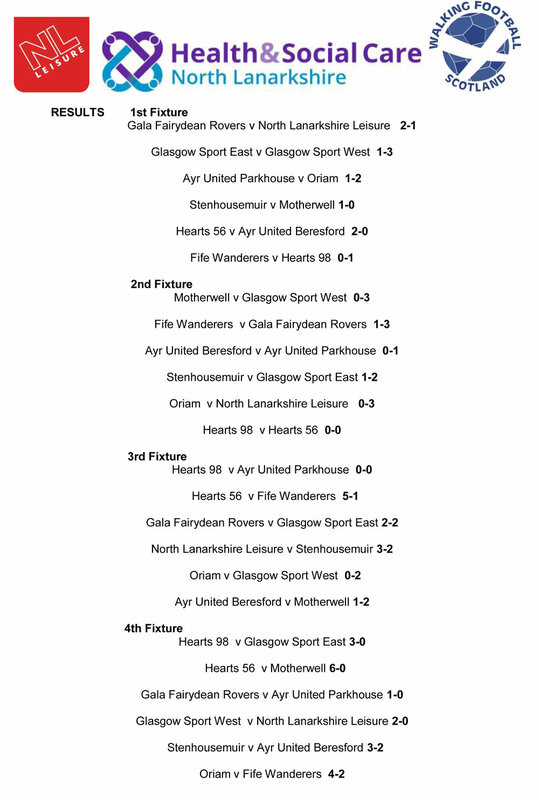 An exciting final day saw Hearts 56 win the trophy after holding off Hearts 98, Gala Fairydean Rovers and Glasgow Sport West, with only two points separating the top four positions. This is the second National Walking Football League hosted by North Lanarkshire Leisure and supported by Health & Social Care North Lanarkshire and yet again proved to be a huge success. Walking Football Scotland would like to thank all the participating teams, the referees, coaching staff of North Lanarkshire Leisure for making this such a fabulous event and to David Hay who presented the trophy to the winners, for his continued support. Football Legend David Hay presenting the victorious Hearts 56 team with the League Trophy today.